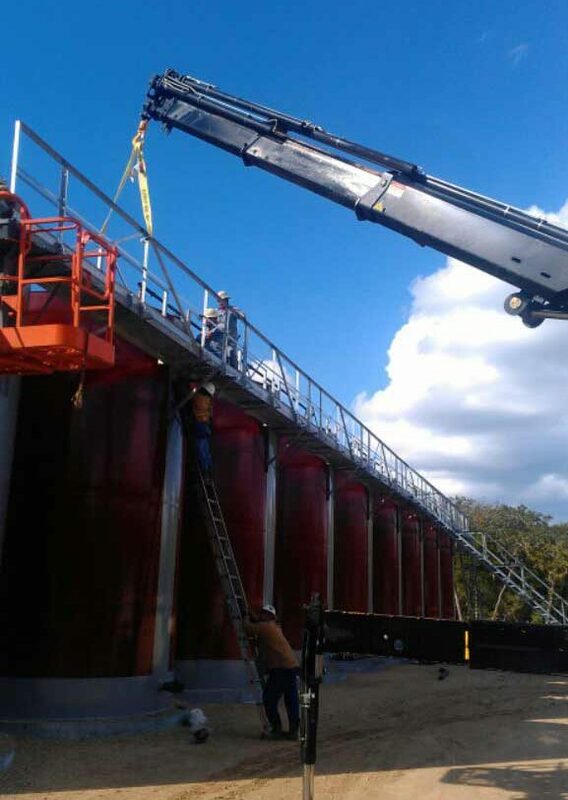 Nationwide Tank and Pipe, LLC provides fiberglass and steel tanks to the Oil and Gas Industry. All of our tanks are built to customer specification, with strict adherence to all pertinent codes ensuring superior craftsmanship. We provide our customers with excellent quality and customer service. We are able to provide the full set up for Production Tank Batteries, Salt Water Disposal Systems and Chemical Containment. Our steel and fiberglass tanks come in standard oil field sizes, although custom designs are available.